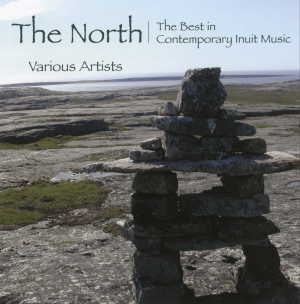 This album is a collection of the best Inuit contemporary music that you can find. 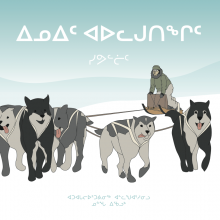 Since 1994, Inukshuk Records recorded various artists such as Charlie Adams from Inukjuak, Henoch Townley from Labrador, Laina Tullaugak from Puvirnituq, Qimutjuit from Inukjuak, Tumassi Quitsaq from Akulivik, Uvagut from Iqaluit, Charlie Ningiuk from Inukjuak, and André Brassard from Inukjuak. This CD is a selection of tracks from 10 albums. Quantities are limited of this “Must-Have” Album. Tracks include: Charlie Adams (3 songs), Charlie Ningiuk (2 sons), Henoch Townley (w songs), Laina Tullaugak (2 songs), Qimutjuit (one song), Tumaasi Quitsaq (2 songs), Uvagut (2 songs) and André Brassard (3 songs).